Rebuilt Truck Transmissions - Gear and Transmission Co.
Buy direct and save with the world’s leading truck transmission rebuilder. 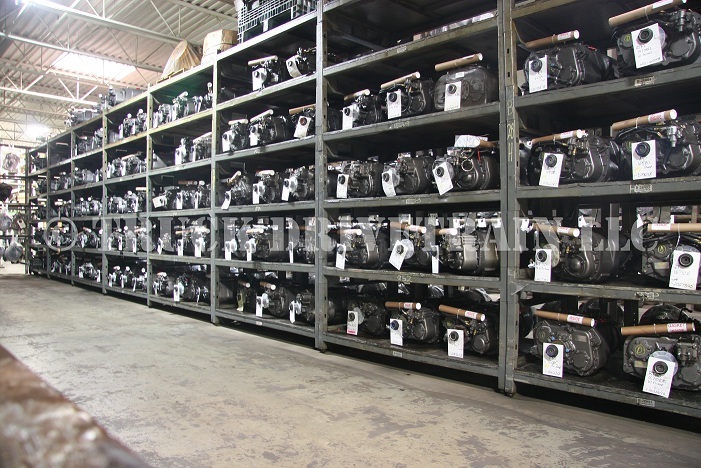 We offer Professionally Rebuilt Truck Transmissions From: Eaton Fuller, Rockwell Meritor, Mack, Spicer and Allison. All re-manufactured units come with a one year unlimited mileage warranty. Discount prices, fast, low cost shipping options and a name trusted around the world for the highest quality units and parts to repair them. Quality rebuilt heavy-duty, mid-range and auxiliary truck transmission models on sale daily. Call for a price quote on your model. When looking for a rebuilt truck transmission from any manufacturer, no matter what model you need, we can supply it configured to your data tag specifications at an affordable price with free core return shipping. Install it, fill it and drive away. We come pick up the old one. We ship from units 8 different locations across the USA. We also export worldwide and know what it takes to get it done correctly. We rebuild and repair all makes and offer all truck transmissions at discount prices to the end user aw well as fleets and repair facilities. Buy Direct and save! For the most reliable truck transmissions in the industry, built with genuine OEM replacement parts, call the truck transmission professionals at Gear and Transmission Co.